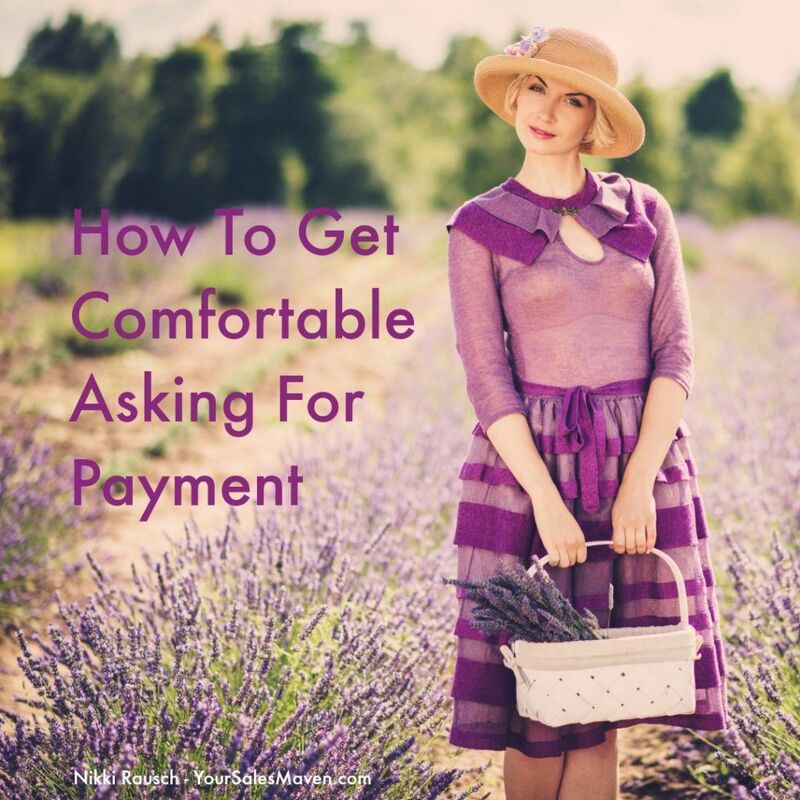 Are you uncomfortable asking for payment? Do you often discount your products/services when you start talking money? You’re not alone! This is so common for people who set the price of their products/services. Too often, people are discounting their services for no good reason. What’s even worse, people are hesitant to even broach the money conversation altogether. They end up having to backtrack later to try to get paid. There’s actually a very simple step you can take to keep yourself from discounting in the heat of the moment. It will require you to do a little preparation before your client meeting. However, it will be worth it when you start getting paid your actual fee. Before walking into a client meeting, have an invoice prepared. If an invoice doesn’t make sense for your particular situation, have a price list handy. When the topic of fees/money comes up, you can easily put the invoice/price sheet in front of the client and walk them through it. It’s a simple way to take the pressure off of you and frankly, you come across prepared and professional to your client. You can also apply this same strategy when talking with a client over the phone. Ask if they’re close to their computer and then shoot them over the invoice/price sheet and walk them through it while on the phone. Notice I’m not telling you to send it to them and let them review it on their own time. The reason being, they often will never look at it. When you walk them through it over the phone, you’re moving them through the selling steps and will be more likely to actually collect money next. Showing up with an invoice/price sheet takes the temptation off of you to offer an unrequested discount. It sends the message to your client that you’re credible and thought about the meeting ahead of time. It’s a non-verbal way to indicate to your client that it’s time to pay and/or make a decision about moving forward with the purchase. Wishing you continued success in all you do this week.